If you've ever watched a big sporting event closely, you'll have noticed that many top performers and world-class athletes have some subtle, yet distinct routines that they follow. Usain Bolt rehearses winning with his arms to the sky, Jonny Wilkinson (pictured below) crouches down in a very specific position with his hands cupped and Louis Oosthuizen stares at a red dot on his glove as he's about to take a shot. All are examples of successful anchoring techniques when it comes to performance. Well-known in the worlds of NLP (that's neuro-linguistic programming) and sports psychology, anchoring is a technique that allows people to trigger their optimal state by utilising the mechanics of the mind. Although many top athletes may not call it anchoring, the majority will adopt the same principles. Here at Wareable, we're fascinated to find out how these techniques can be applied to the way we approach fitness, the devices we rely on and how we could use them to ensure we're performing at our best at all times - even when we don't feel like it. "An anchor is simply when a desired response is conditioned to a pre-determined trigger, normally triggered by imagination, physicality and breath." He explained: "Most people know the story of Pavlov and his dogs, that's the same thing. He anchored the sound of a ringing bell to dinner time. By ringing the bell, he triggered the dogs to salivate in the absence of their dinner - a conditioned response. Now we're not all dogs, but this conditioned response is something that happens to every single one of us. The genius is we can control that conditioning process to promote peek performance. We can switch it on." As you can imagine, the ability to "switch-on" your best state has huge implications when it comes to sporting and performance. But I wanted to know how this could be applied back to wearable tech. Can we all really replicate Pavlov's work armed with just a simple tracking device on our wrists? Carthy said: "You'd need to work on anchoring a state to that device. It's not as simple as just putting it on and off you go. 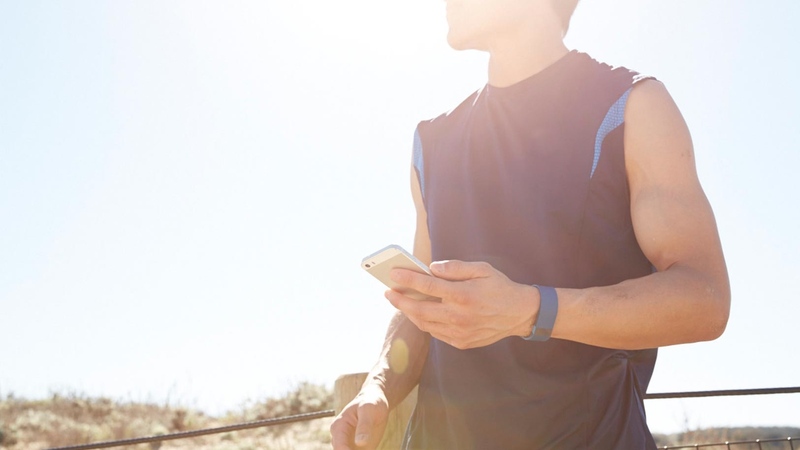 But of course, wearables can be the physical stimulus that we can use to push ourselves into the right state. Many top sportsmen and women use a physical 'thing' with a lot of success." He tells me that a great example of physical anchoring in the sports world is Jonny Wilkinson. He crouches down and cups his hands in a certain way before taking a conversion kick. Anchoring his peak state in that particular stance. Thinking about his best memories and past successes as he does it. But the most interesting stories for those relying on fitness tech are the habits of golfers, who are well-known in the world of sports psychology for anchoring states to their kit. Louis Oosthuizen has a red dot on his glove that he stares at, which triggers his conditioned response of calm, relaxed and confident while hitting the shot. And this really proves that it doesn't matter what you choose as an anchor, but the act of physically putting on a wearable could well be an anchor in itself if you put in the time to attaching a certain state to that physical feeling. It could be a particular pressure point that it hits on your wrist. Or maybe a small logo on it that you look at when you really need a boost, just like Oosthuizen's dot. "I anchored his optimum states to the firing of the starter's gun and to the black line he would focus on underwater as he swam. The results he produced in that peak state were the ones he desired most." Actually anchoring these states to whatever you've chosen, whether it's the buckle on your wearable or the graphic on your app, is a little harder to master. But not impossible. "Firstly, create the desired outcome or state of mind, i.e. success, power or motivation. This can be done by going back to a positive memory to generate the state of mind you had then. Then build that state of mind up until it crescendos and fire your physical anchor or cue. So when that desired state is peaking, you could feel the smooth surface on the top of your Misfit Shine, push your Fitbit into a very specific spot on your wrist, or play the little noise your app makes when you hit your daily steps goal." For a wearable tech user you can "top up" your trigger after a really great run or when you're feeling particularly pumped with endorphins. You're effectively saving up those good feelings for next time you really need to fire the trigger. So what then? Well, once you've established your anchor you can use it. Carthy tells me, "By giving your brain the same signal beforehand, the unconscious part will recognise it and trigger a similar state." So before your next run you can play the sound the app makes when you hit a goal to get you in the right frame of mind like Michael O'Brien. You can stare at the logo on your Basis Peak before a swim, by taking a leaf out of Louis Oosthuizen's book or you can assume a certain position and feel the pressure of the device on your wrist, a little like Jonny Wilkinson.